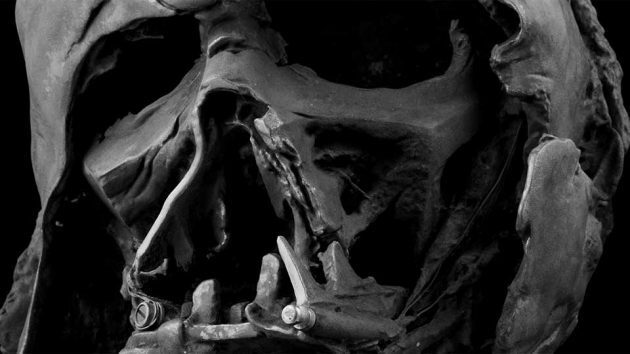 Darth Vader has no part to play in the Star Wars: The Force Awakens, but damn, this Sith Lord simply can’t rest in peace and his spirit still lingers in the seventh Star Wars movie, or at least, he is to Kylo Ren, who holds him in high regard. Darth Vader didn’t appear in the movie though; his pretty much thrashed helmet did (remember, his corpse was put through the burning funeral pyre?) 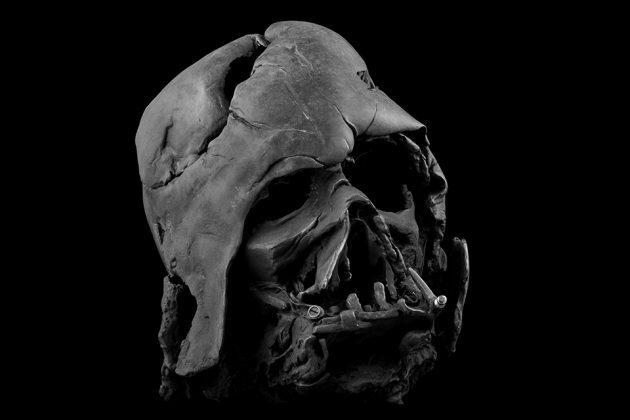 when Kylo supposedly talked to the melted helmet, asking his grandfather to show him the power of the darkness, so he, Kylo, can “finish what he started.” Anywho, if you think that melted helmet is iconic enough, then here’s the good news: Star Wars Collectibles is offering a replica of the Darth Vader melted helmet. And mind you, this is not just any replica. 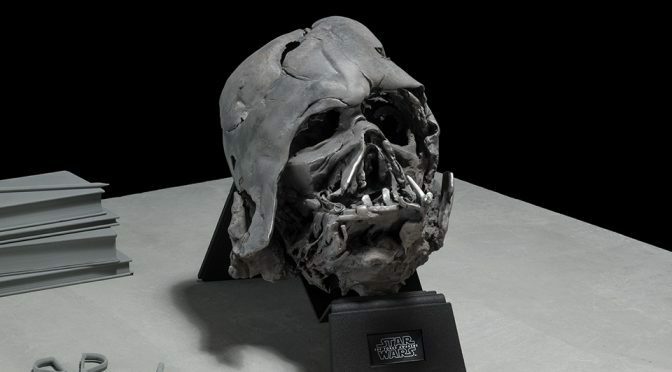 It is an exact replica of the prop used in the movie, painstakingly created using the original 3D digital data from the said prop and hand-finished by a highly skilled artisan to complete the worn and melted look. It looks exactly like the one in the movie, right down to the surface markings, texture and the melted details. Only 500 units are being offered, each made-to-order and available in continental U.S. only, limited to one per household. You can’t wear it though; this isn’t a cosplay product. It is a maquette of sort with no moving parts or whatsoever. 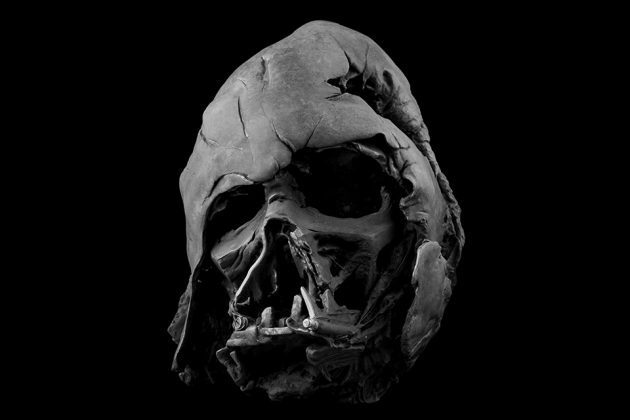 Each Darth Vader Melted Helmet has a RFID chip to authenticate the serial number against the one printed on the included Certificate of Authenticity and Authenticity Medallion, and it will be delivered in a custom wooden crate – inspired by the packaging used for the original prop. Want one? 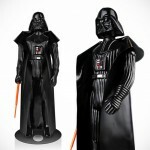 Well, first, we hope you are seated at this point because owning this collectible is going to make you $3,500 poorer. On the flip side, this is probably not going to fly off the shelves. 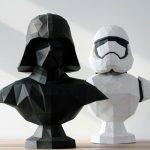 Why 3D-Print A Darth Vader Bust When Papercraft Will Do Too?